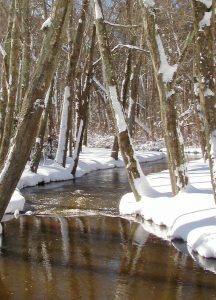 The Menantico River, more commonly called Menantico Creek, acts at the boundary between Millville and Maurice River Township at its confluence with the Maurice River. 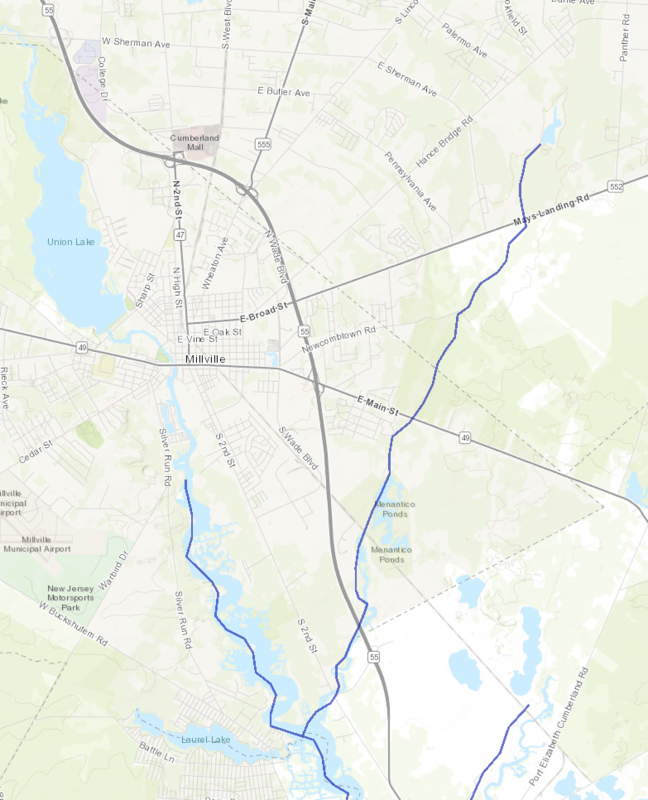 Its headwaters originate in Minotola, NJ, a village within Buena Borough, Atlantic County. It retains its name as far north as Vineland, NJ near Dante Ave., where it subdivides into Cedar Branch and Panther Branch. From Dante to the Maurice, the river’s length is about 8 miles. Near Route 49 in Millville it has a major fork called Berryman. The river is tidal to the railroad trestle just south of the Menantico Ponds. During the Federal Study Process the Menantico was reviewed from its headwaters in Atlantic County to the Maurice River. Ultimately the US Department of Interior National Wild and Scenic Program designated the portion of the Menantico Creek that begins at the Menantico Lake Dam (not to be confused with Menantico Ponds) and ends at its confluence with the Maurice River. 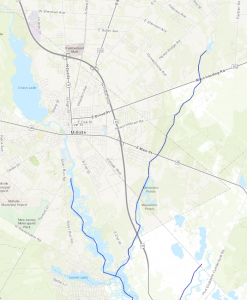 The dam is about ½ mile north of County Route 552 or Mays Landing Rd. This segment of the Menantico is also primarily forested and encompasses many preserved lands. Although the watershed is physiographically pinelands, none of it lies within the political boundaries of Pineland’s National Preserve. Preserved space and national designation offer this watershed some levels of protection that would otherwise not be afforded. In fact the Pineland Comprehensive Management Plan called out the Maurice, Menantico, and Manumuskin as “adjacent area[s] of importance…characteristic of a pristine Pinelands environment,” with higher water quality and numerous threatened and endangered animals and plants. At the time of the study, from 1986-1993, the river met all pristine standards in all areas except total suspended solids, as reported by Pollution Abatement Consultants and Services (PACS). Less turbulent sections of the creek should meet all standards. The total length of the watershed is about 12 miles long; it covers 47 square miles, draining some 30,153 acres. The vast majority of these lie within the towns of Millville and Vineland. A third of the watershed’s land cover is forested. 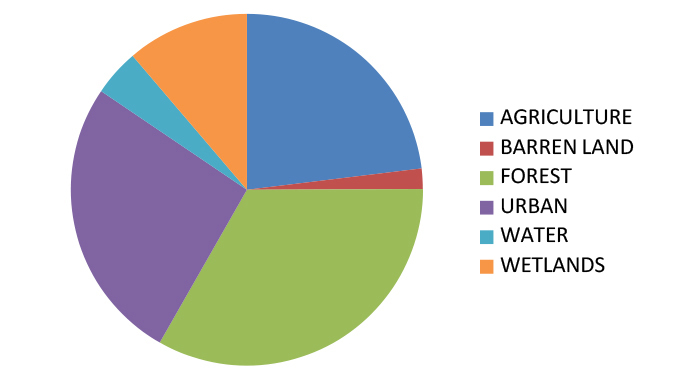 Agriculture and urban uses each make up about a quarter of the land use. The watershed is heavily farmed north of Mays Landing Rd. Because of this, in places the widening of buffers would be beneficial. Wetlands and water are 16% of the coverage and barren land is 2%. The Menantico was heavily scarred by sand mining as recently as the mid-1900s. Ultimately those excavations have provided what is one of the most popular fishing spots in NJ. 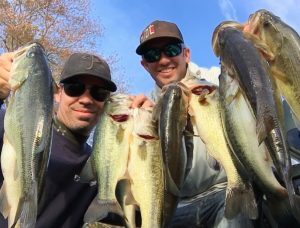 The Menantico Wildlife Management Area is well known for its record largemouth bass, which can be taken from the borrow pits that form a chain of small lakes. These ponds are also popular spots for paddling and nature study. Southern NJ’s lakes and ponds are the result of primarily historic uses – i.e. mills, farm ponds, mining, or the like. There are vernal pools but no natural lakes in our region. Native Americans inhabited the lands along the Menantico Creek most likely for the abundance of wildlife in its forests and waters. In fact, the only known Native American longhouse foundation south of Trenton was found on the shores of the Menantico. The Menantico is also known for its historic runs of various fish species: alewife herring, eel, and striped bass. Many of these are currently suffering from over-fishing. Snapping turtles, waterfowl, eagles, osprey, muskrats, kingfishers, and river otter are all examples of some of the many species that actively use this corridor. In the early 19th century an iron foundry was present on the neighboring Manumuskin River at Cumberland Pond. The Manumuskin was diked near Route 47 and was not navigable by schooner. As a result, pig iron was brought across land to the Menantico and shipped from Schooner Landing. Iron pigs, head stones, stoves, and other iron products were distributed to Philadelphia and throughout the northeast. Historically, the tidal portions of the Menantico were diked and farmed from the 1700s until World War II. One holdout is the Burcham farm that lies at the mouth of the Menantico – one of the last diked farms of its kind in the Delaware Bay Watershed. The farm forms an island on the Maurice and the marshy tidal strip between the upland and the island was once diked and farmed by Dr. Greco. Depending on foliage you can sometimes make out the top of the silo on that property. Today, people continue to paddle the Menantico, study its rare plants, fish the Ponds, take photographs, hunt, and appreciate its beauty in many ways.